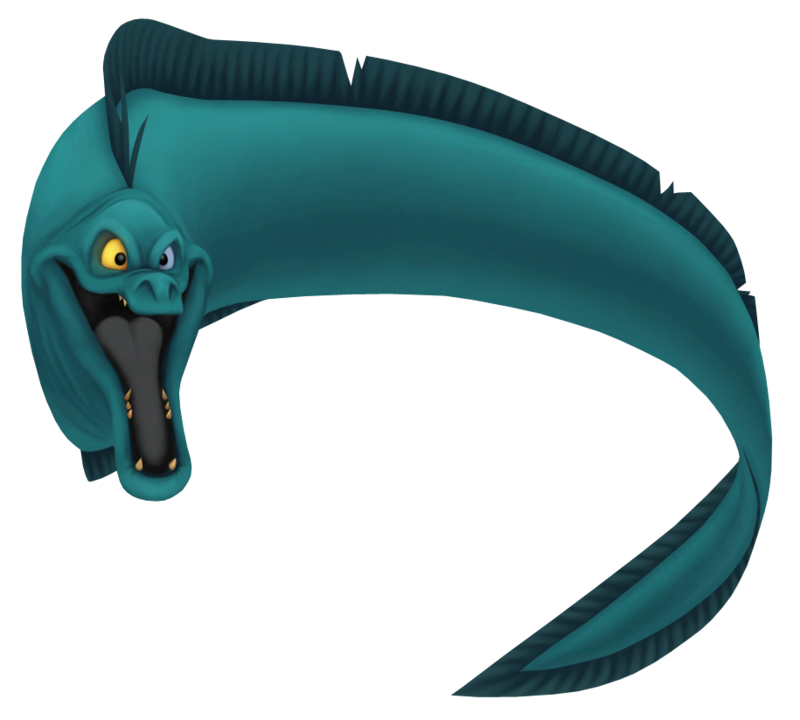 The other half of a cunning duo of slippery eels, Jetsam is similar to his brother in every way. Both Flotsam and him are destroyed when Sora strikes Ursula's cauldron with magic. The other half of Ursula's slippery duo of assistants, Jetsam's right eye shines with a malevolent gleam as he tempts unfortunate souls into making bargains with Ursula. Flotsam and him are truly a pair, even to the point of completing each other's sentences.